The history at White Rock Vineyards extends back to the 1870s, when one Dr. Pettingill established one of the earliest vineyard plantings in Napa Valley. Situated on the eastern side of the valley at 300 feet elevation, the vines grow in the austere, white volcanic soils that are responsible for their distinctive wines, and are also the winery's namesake. Like many seminal California wineries, it changed ownership several times over the years, endured prohibition, fell out of production, had the vineyards pulled out, and finally ended up used for something else entirely (horse training grounds). Luckily, this was not the end of the White Rock story. In 1977, over 100 years after its founding, Henri and Claire Vandendreissche purchased the property. 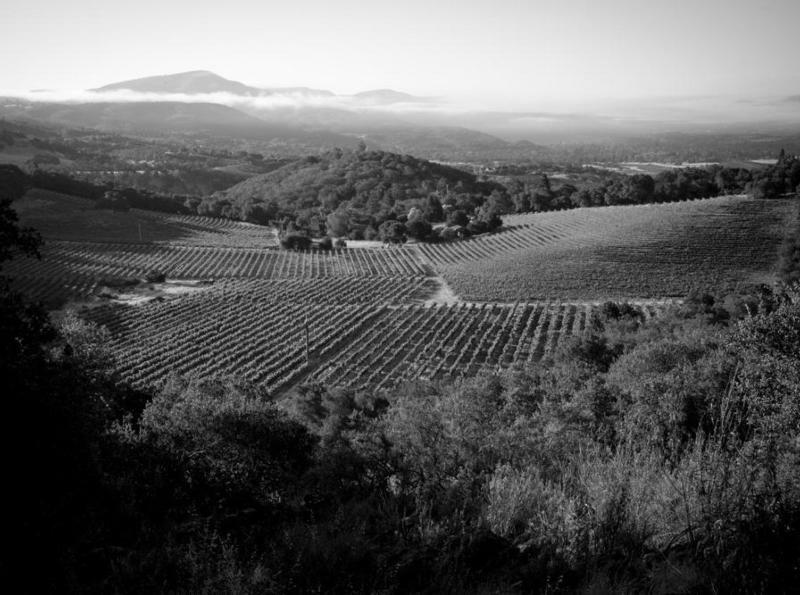 The replanted the vineyards soon after and spent nearly a decade selling their fruit to other wineries. In 1986, however, they produced their first vintage and have produced continually since then. The second generation took up the reins in the late 90's starting with Henri and Claire's son Michael. After studying viticulture in Napa, he spent two years in France exploring other passions before returning to White Rock to take over vineyard management. In 1999 he was joined by his brother Christopher, who took over winemaking after working in Bordeaux, Rioja, and Mendoza, and spending two years learning under Napa legend John Kongsgaard as assistant winemaker at Luna. The 35 acre vineyard has always been farmed naturally, without chemical treatments and using cover crops such as bell beans, rye, and clover to enrich the soils. Totaling 35 acres with an average age of 30 years, comprised of 14 acres of Chardonnay on the cooler benchland, and 22 acres of terraced Bordeaux varietals on the slopes above. Winemaking favors minimal new oak and native fermentations, with the goal of producing the kind balanced, age-worthy wines that Napa Valley first built it's legend upon. Time has shown that they've succeeded in that goal; the wines are elegant and classic, they persist and thrive independently of the trends that have come and gone over the past three decades, and they are the embodiment of a singular place.